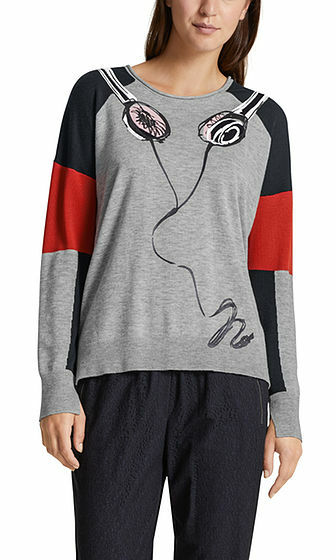 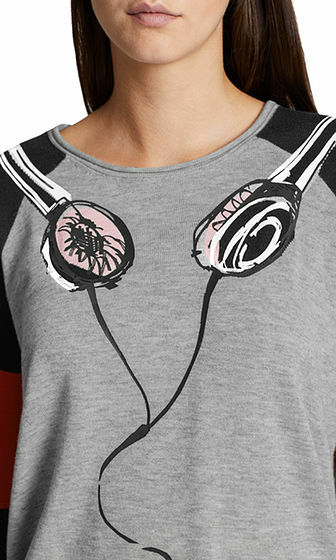 Unique sweater with a striking headphone intarsia pattern, as well as foil printing. 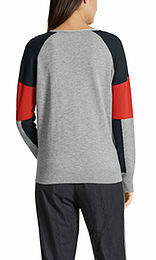 The sweater is made from a wool blend and has short slits in the sides and at the wrists. 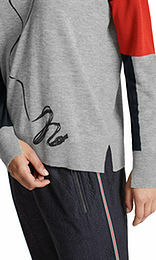 The rolled edge at the neckline adds a distinctive touch.